Who are we and what are we up to? We are katey and pedro. What does it mean to be [In]Experienced Travelers? Well, between Pedro & I we have done a lot of traveling. Both of us have made international moves (I, Katey, have moved eight times). Exploration addicts we take every chance we can get to go somewhere new. But, just because we have a lot of experience traveling doesn’t mean we always get it right. Part of what we love about traveling is the spontaneity of every adventure, you’re never sure what challenges are going to be thrown at you when you’re galavanting across the world. So, while we count ourselves as quite ‘experienced travelers’, the world is never shy to remind us that there is happiness in inexperience too. So, our next adventure? We are spending the next six months making a home out of two backpacks. Embarking on a long term trip around the gigantic continent of South America. We created our blog as a chronicle of our experiences while backpacking. 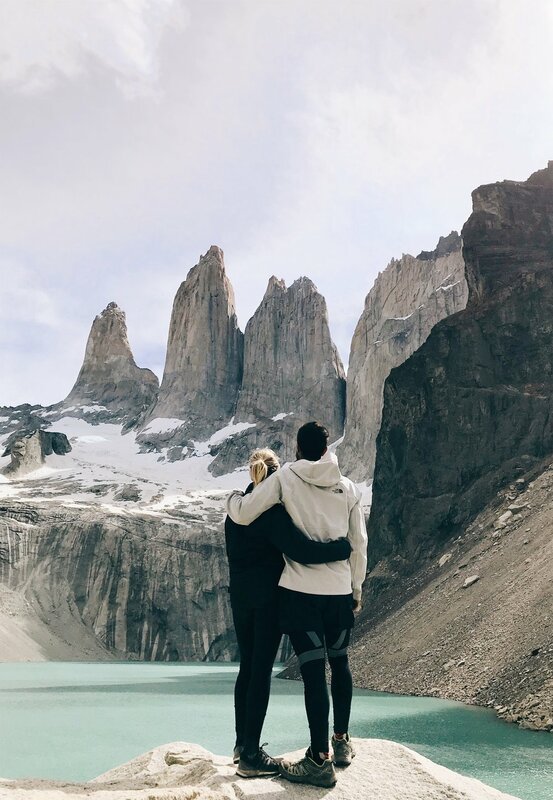 Sharing our stories, travel tips and failures. A cross between a personal travel diary and an advice blog. Each of us will share the dues of writing and photography throughout the blog, each sharing our unique point of views about the experiences we share. Having to leave New York because Pedro was unable to get a visa was a kick in the gut for both of us. At first we let ourselves fall into a hole, wallowing about our failed attempts to stay in NYC and continue down our respective career paths. Unwilling to sit there drowning in sorrow we decided to take the unique opportunity life was giving us and travel instead. Not often is it that a couple ends up in a situation where both can have time off work for an extended period of time. As a self diagnosed workaholic & travel junkie it is hard to find the balance between your desk job and the lust to go out and explore the world. Three months into my trip I explore what it means to miss your desk job while on a trip of a lifetime. Skip the expensive restaurants and head to the local grocery stores. Cooking is one of the best ways to cut on costs and vastly increase your vegetable consumption. Check out our grocery list, perfect for every budget backpacker! It is hard to exercise while traveling. Here are a few tips to help you get moving. Packing a bag for six months is a daunting task. Have a look at what I decided were my packing essentials for my trip around South America.